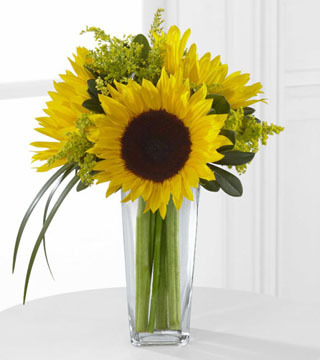 The All is Bright arrangement gathers together glorious sun-filled colours to form a bright and beautiful bouquet. 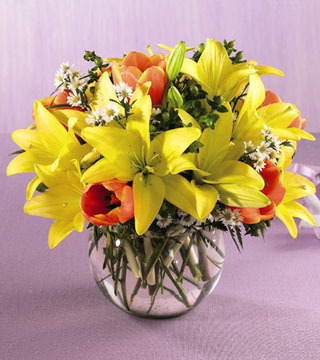 Golden yellow lilies pair with glowing orange tulips and dainty white Monte Casino in a 6" clear glass bowl. 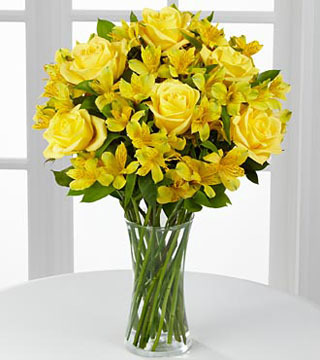 This happy bouquet makes a great gift to celebrate a birthday or any occasion - special or otherwise! 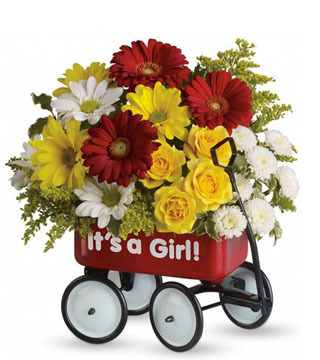 Teleflora's Baby Wagon - It's a Girl!